Most PCBs are fabricated lots of PCB markings, primarily on silkscreen layers, and are related to placement, type, polarity, or component reference. This is one of the reasons why the silkscreen layer is sometimes referred to as the identification layer. These PCB markings are extremely useful for picking and placing components or assembling board personally or final troubleshooting circuit boards. This article will discuss some unexpected PCB markings that end up on our boards as manufacturer markings. Although the flame rating, date code, revision number, or verification information is the marking that most of the time should exist on the board to meet certain criteria, manufacturer markings can be slightly adjusted. 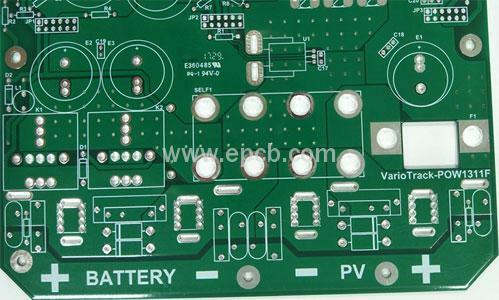 Some manufacturers insist to add their logo on the printed circuit board. This is usually for tracking and warranty reasons, since customers can order the same board at multiple manufacturers. In addition to silkscreen, the logo can also be added as copper feature, but no silkscreen on the RF board because it may cause interference. Most manufacturers will allow customers to specify where to place their logo and other PCB markings, or at least to define an unavailable area, location, or even the entire layer. To ensure that your board is manufactured in accordance with your exact PCB specifications, always include notes when providing the board documentation to your manufacturer.